Cameroonians are gathering to mourn at the home of Anne-Marie Nzie, the 84-year-old artist known as the "golden voice of Cameroon." Nzie died May 24. Fans have been flocking to her home in a Yaounde neighborhood called the green city to pay tribute to the woman who made popular a style of music known as bikutsi. Abraham Ngwa came with hundreds of members of her university music club. "I grew up listening to Anne Marie Nzie, I grew up dancing to her tunes like 'Liberte.' 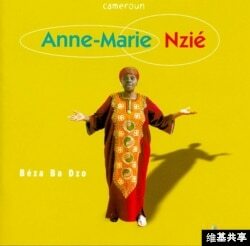 [she sings a bit of the song] Anne Marie Nzie was the queen mother of Cameroonian music," Ngwa said. Liberte was by far her most popular song. It was a song of rebellion, originally composed in the 1960s as Cameroon and other African countries were shaking off colonial rule. Throughout her long career, Nzie used music to advocate for self-determination and defend human rights. She got her start singing in the church choir as a girl, and then began performing in night clubs as a young adult. Fellow artists said she was a powerful mentor. "When I worked with her, on several occasions we played, the Anne Marie Nzie that I met was not the proud type who would look low on the younger artist. She was like a mother," Atte Bazore, a promoter of Cameroon's traditional music, said. Nzie died just two weeks before a concert local musicians planned in her honor.